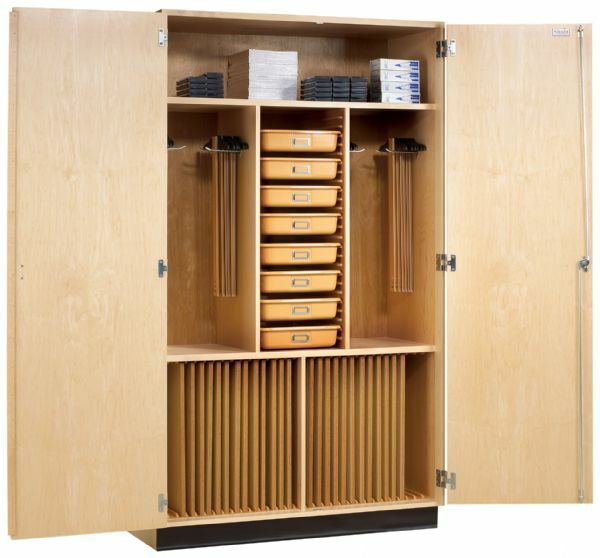 * Designed to hold all the drafting tools and supplies for 24 students, including pegs for hard to store T-squares and slots for drawing boards up to 18" x 24". * Eight totes for smaller supplies and materials. * Cabinet is 48"w x 22"d x 84"h.
* (For cabinet with stock, see MS24CS.